The Augusta-Richmond County Public Library System proudly presents the 64th annual Evenings in Appleby Gardens concert series, which will be held for 5 consecutive Tuesdays at 8 pm, beginning on May 29 on the grounds of the Appleby Branch Library (2260 Walton Way, Augusta). You can look forward to enjoying a variety of entertainers under the stars. The concerts remain free and open to the public. The Annie de Prairie Appleby Branch Library, which now houses over 35,000 books, was built around 1830 by Judge Benjamin Warren. He chose Greek Revival architecture, which was popular in the South at the time, for this lovely home. This home was one of the first built in the neighborhood known as Summerville, as Augustans sought to escape the heat and disease of the climate along the Savannah River banks. After the death of his wife, Mr Scott B. Appleby and his son, James Scott Appleby, gave the house to the City of Augusta and Richmond County to be used as a library that was first opened in 1954. 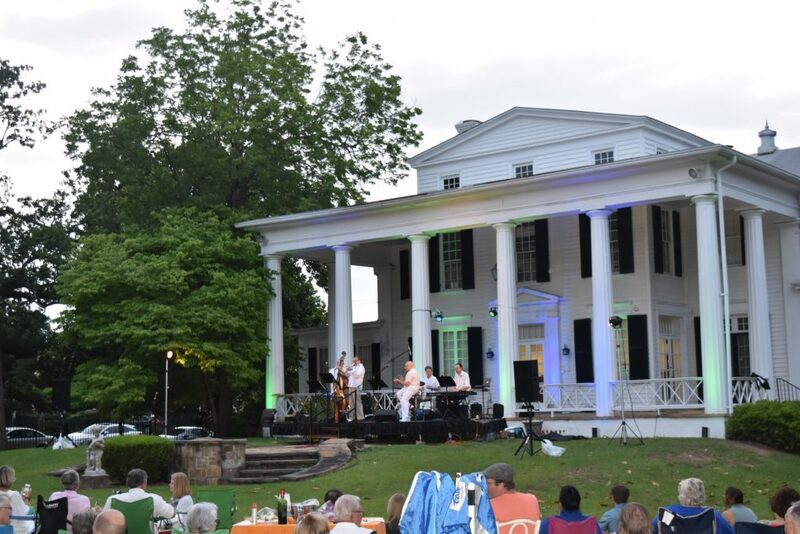 The Evenings in Appleby Gardens concert series, originally known as “Music in the Garden,” began in 1954 as an evolution of a former library program, a listening series for classical music at the old library headquarters. Due to concerns with the space and the recent donation by the Appleby family of the mansion that is now the Appleby Branch Library, “library officials approached the Augusta Music Club…, and the two groups worked out through cooperative effort a summer concert series to be held in the cool back garden of the Appleby branch” according to the Augusta Chronicle. The concert series has been held annually at no charge to attendees since its inception in 1954. If you have enjoyed any of the Evenings at Appleby Gardens Concert Series, please consider being a sponsor at a level that is convenient for you. Your contribution will help this Augusta institution remain a fun and free event for attendees. Over a thousand guests attended the 2017 series, and we look forward to having even more people enjoying the tunes this year. Download the 2018 Appleby Gardens Concert Series Sponsorship Levels Form for more details and instructions.